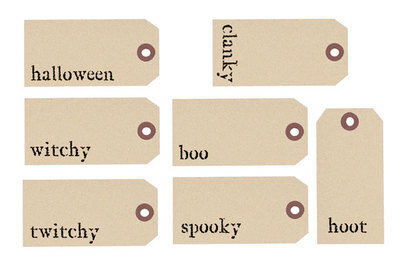 Grab these printable Halloween tags. 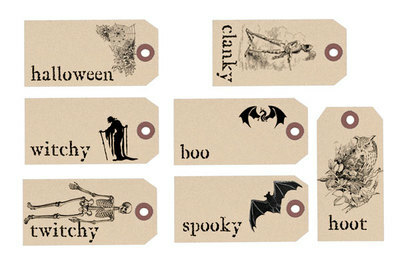 Each has a stamped word related to the season. Get them plain or with an image on them.